Geo was a combination of several automakers that came together to produce great cars. General Motors was the sole idea maker when it came to the concept of Geo. GM contracted out with Toyota, Suzuki and Isuzu. What came out of this partnership were five cars that helped Geo dominate sales of these vehicles in the U.S. While these vehicles were built for economy, they were very popular choices for all drivers. You’ll find that we’re able to get the best pricing for used Geo engines for sale on our website. We provide a great resource for our customers that need a quality used engine without the high price and the wait. The five Geo cars were the Storm, Tracker, Spectrum, Prizm and Metro. All of these vehicles were different from the others. What one vehicle lacked the other made up for it. Geo was very successful in giving drivers exactly what was asked for in these vehicles. No one can deny the excellence of the fuel economy. We keep the integrity of every Geo engine intact that comes here. We know they are great used engines. We find out through our distributors the age and the mileage of every engine that is picked up. Once we can verify the Geo engine specs, we then move onto the next part of our evaluation. We have hired a team of Geo engine mechanics. It is the opinions and research of these mechanics that help us get the best possible used engines out to each customer. We’re very realistic in our assessments. We understand that surface rust is just going to be there on a 20+ year old engine. We don’t try to hide that fact. We also don’t hide the mileage or wear and tear that might be on the block. We certify used engines on an internal quality scale. If something doesn’t meet our standards, it is refused and we move along to the next motor. Some of the customers we have like to order more than one engine because the motors are so cheap. We provide a low price as well as free shipping just for these purposes. Getting a great deal helps us to help everyone. The discounts and free shipping is subtracted from the order total. Everyone can save money buying from us. Our warranty is yet unmatched by any online seller. Our Geo engines are without problems or issues. 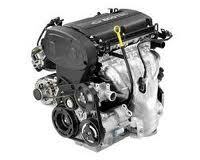 We care greatly about the GM engines that are sold from our warehouse daily. Price means a lot. That’s why we make sure we give prices quickly and accurately. You won’t find inaccurate pricing published on our website. We avoid printing prices online for this reason. We turned to our expert quote system here on this website for help. It provides all of our engine pricing 365 days a year. Use the form now to get a used Geo engine price. When you have your price, call our engine team and get your engine shipped.